These Terms and Conditions (the “Terms and Conditions”) apply to your application for, and participation in, the Energy House Calls Program, sponsored by Idaho Power (the “Program”). For the purpose of these Terms and Conditions, the term “Idaho Power” refers to Idaho Power Company and its affiliates, and the term “you” refers to you as an applicant for, and participant in (if applicable), the Program. The Program involves duct testing, sealing, and in some cases, installation of certain energy efficiency measures, for residential, manufactured homes within Idaho Power’s service territory. Please read these Terms and Conditions carefully before applying for the Program. Details of the Program, including direct install measures are subject to change or cancellation without prior notice. 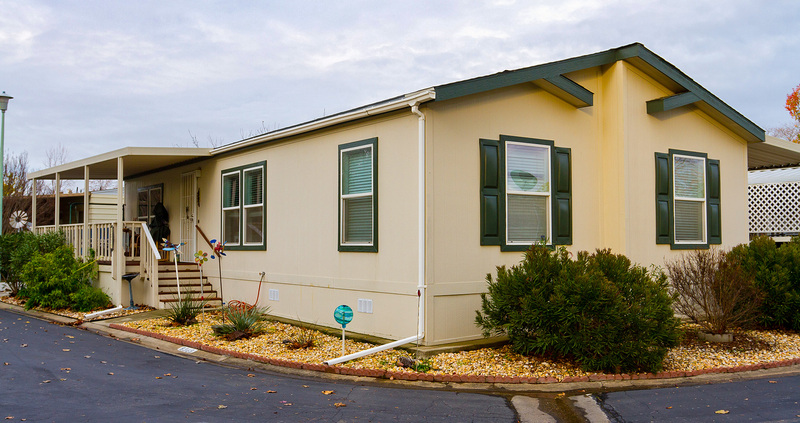 Manufactured home residents will have the duct system for their home tested for leaks. If leaks exist, they will be sealed according to regional standards. Participants may also receive energy efficient LED light bulbs, two free air filters for their heating system, a water heater temperature check and educational information about saving energy. If water is heated with electricity, a contractor may also wrap water heater pipes and install high-efficiency showerheads and faucet aerators for the kitchen and bathroom. The services performed and products provided in the Program are subject to change. The Program is subject to modification, suspension, or discontinuance, at Idaho Power’s sole discretion, without notice to you at any time. No course of dealing between or among any persons having an interest in these Terms and Conditions, or in the Program, shall be deemed to change any part of these Terms and Conditions or any rights or obligations under these Terms and Conditions. The Program is available only to residential customers of Idaho Power who live in a manufactured or mobile home and use an electric furnace or heat pump and have no gas appliances within the home. Renters can participate with prior written landlord permission. Work must be completed by one of Idaho Power’s certified contractors specially trained to provide these services. You must be present, and agree to be present, in your residence where the services are being performed during the entirety of the performance of services under the Program. The Program is only available once, per home, per the lifetime of the Program. This Program is free to Idaho Power customers meeting the eligibility requirements set forth above, including all services and equipment provided under the Program, and no future obligation is affiliated with the services or equipment provided under the Program. To enroll in the Program, contact the Idaho Power certified contractor that is specially trained to provide these services. Check out our list of certified contractors under the how to apply section. Idaho Power reserves the right to verify delivery of the Energy House Calls visit and to have reasonable access to your residence, upon prior notice to you, to inspect the measures installed under the Program. You agree that Idaho Power may include your name, services performed under the Program, resulting energy savings, and related information in reports or other documentation submitted to the Idaho Public Utilities Commission, and other governmental agencies and authorities. In all other cases, Idaho Power will treat information gathered in evaluations as confidential and report it only in the aggregate, including in reports and submissions made to non-governmental entities in connection with Idaho Power’s energy efficiency initiatives. You understand and agree that Idaho Power and/or its representatives may include a description of this Program and other Program details in its case studies, brochures, press releases, advertisements, and marketing materials presented to the public. IDAHO POWER HEREBY DISCLAIMS ANY AND ALL IMPLIED OR EXPRESS WARRANTIES (INCLUDING, BUT NOT LIMITED TO, IMPLIED WARRANTIES OF MERCHANTABILITY OR FITNESS FOR A PARTICULAR PURPOSE) AND SHALL NOT BE RESPONSIBLE FOR ANY REPRESENTATION OR PROMISE WITH RESPECT TO EQUIPMENT, MATERIALS, OR LABOR REQUIRED FOR THE INSTALLATION OF ANY EQUIPMENT ON THE PREMISES, OR THE COST OF SUCH EQUIPMENT, MATERIALS, AND LABOR. Because of the variability and uniqueness of individual energy use, it is not possible to predict exact energy savings (if any) that may accrue to you from the Program. Idaho Power, by sponsoring the Program, does not warrant that the equipment or installed measures will achieve any reduction in energy costs to you. Idaho Power neither expressly nor implicitly warrants nor assumes any legal liability or responsibility for the performance, quality, safety, installation, or estimated energy and/or cost savings of the Program or any services performed or equipment installed in connection with the Program. Idaho Power shall not be liable to you for indirect, consequential, special, or incidental damages arising out of or related to the Program, whether in contract, tort (including negligence), or any other theory of recovery. Idaho Power shall not be responsible for the advice of the certified contractor or the work of the certified contractor or other persons or entities performing services under the Program who are not employees of Idaho Power. As consideration for receipt of the benefits of the Program, you agree to indemnify, defend, reimburse, and hold harmless Idaho Power and its employees, agents, directors, officers, and shareholders for, from, and against any liabilities, claims, damages, losses, and expenses (including reasonable attorneys’ fees and costs and expert witness fees and expenses) arising out of, or relating to, your breach of these Terms and Conditions, any false or misleading information in the application you completed in connection with the Program, or any personal injury or property damage arising out of or resulting from your negligence or willful misconduct in connection with the Program. The Energy House Calls certified contractor has the right to refuse to perform services or end the visit in his or her sole discretion in the event he or she determines that conduct or continuing the visit may be unsafe, unlawful, inappropriate, or not in compliance with these Terms and Conditions. Inappropriate behavior that may justify termination of the visit includes, but is not limited to, unreasonable demands for service, threatening or offensive language, threatening or erratic behavior, and inappropriate contact. Idaho Power reserves the right to revise, postpone, terminate, or cancel Customer’s participation in the Program for any reason without prior notice to you. In the event of cancelation, suspension, or termination, Idaho Power shall not be required to (1) pay you any amounts or (2) perform any other obligations. Waivers of any right, privilege, claim, obligation, condition, or default shall be in writing and signed by the waiving party. No waiver of either Idaho Power or you of any breach of these Terms and Conditions shall be a waiver of any preceding or succeeding breach, and no waiver by either Idaho Power or you of any right under these Terms and Conditions shall be construed as a waiver of any right. Any obligation in these Terms and Conditions, which may involve performance subsequent to termination of these Terms and Conditions, and your participation in the Program, or which cannot be ascertained or fully performed until after termination of these Terms and Conditions or your participation in the Program, including without limitation, indemnification, waiver, and limitation of liability, shall survive. Nothing in these Terms and Conditions nor your participation in the Program shall create any employment or agency relationship between you and Idaho Power, and nothing related to the Program shall be construed or interpreted to place any obligation on Idaho Power to pay you any amounts as a result of your participation in or expressly referenced in the Program. Neither party shall be deemed an agent, partner, joint venture, or employee of the other party. You will comply with all federal, state, and local laws in the performance of these Terms and Conditions. These Terms and Conditions and the Program shall be governed by and construed in accordance with the laws of the State of Idaho (without reference to its choice of law provisions). Venue shall be in Ada County, Idaho. IF THESE TERMS AND CONDITIONS ARE NOT ACCEPTABLE TO YOU IN FULL, YOU MUST NOT PARTICIPATE IN THE PROGRAM.